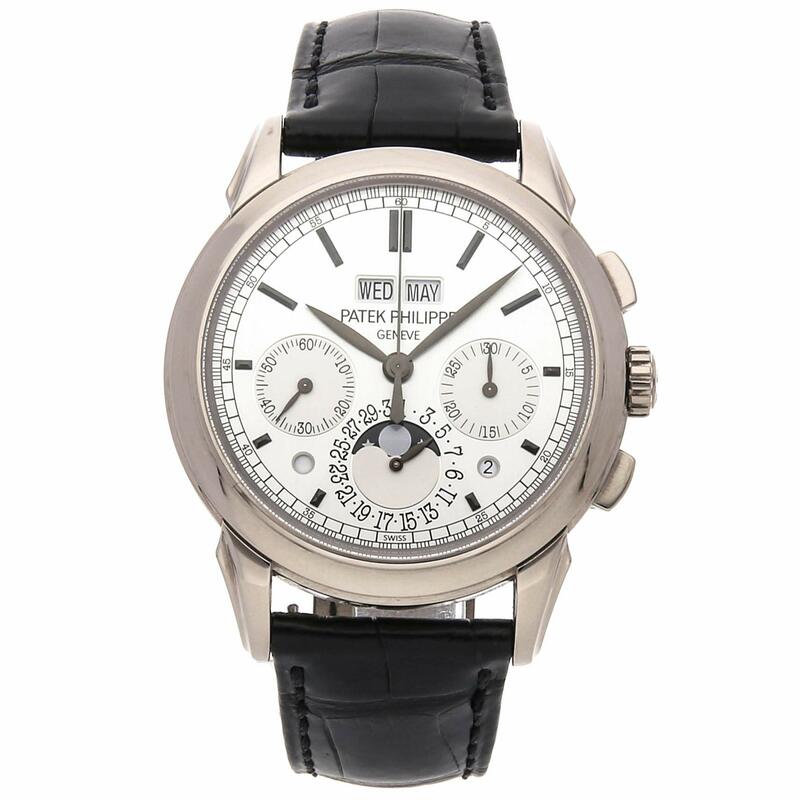 Patek Philippe Grand Complications Perpetual Calendar Chronograph (5270G001) manual-wind watch includes a 41mm 18k white gold case surrounding a silver dial on a black alligator strap with an 18k white gold Calatrava Cross deployant buckle. 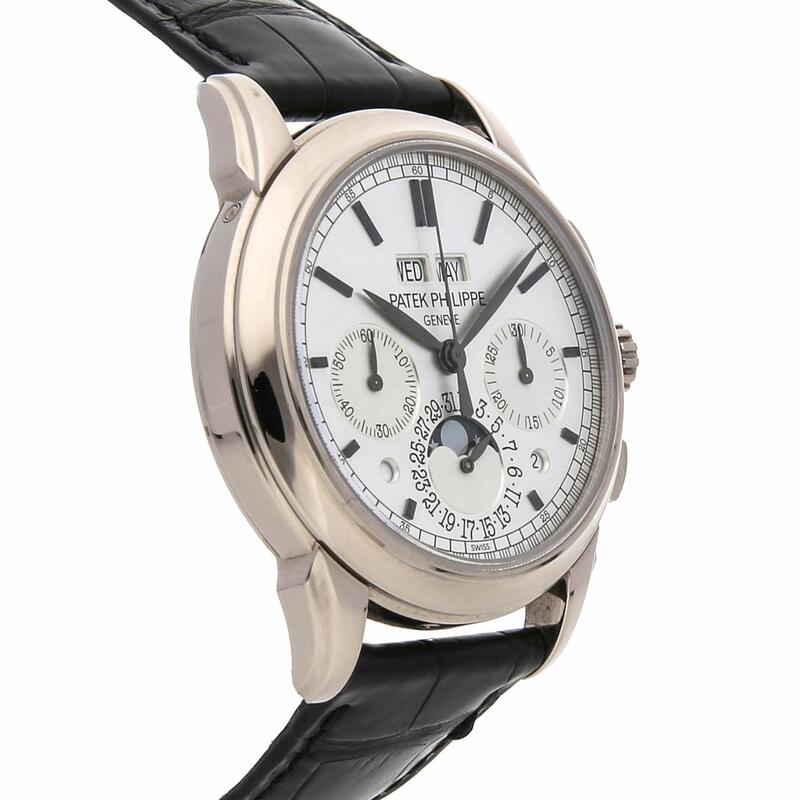 Functions include hours minutes day date month chronograph moon phase intercalary year indicator and perpetual calendar. This watch does now not include box or papers. 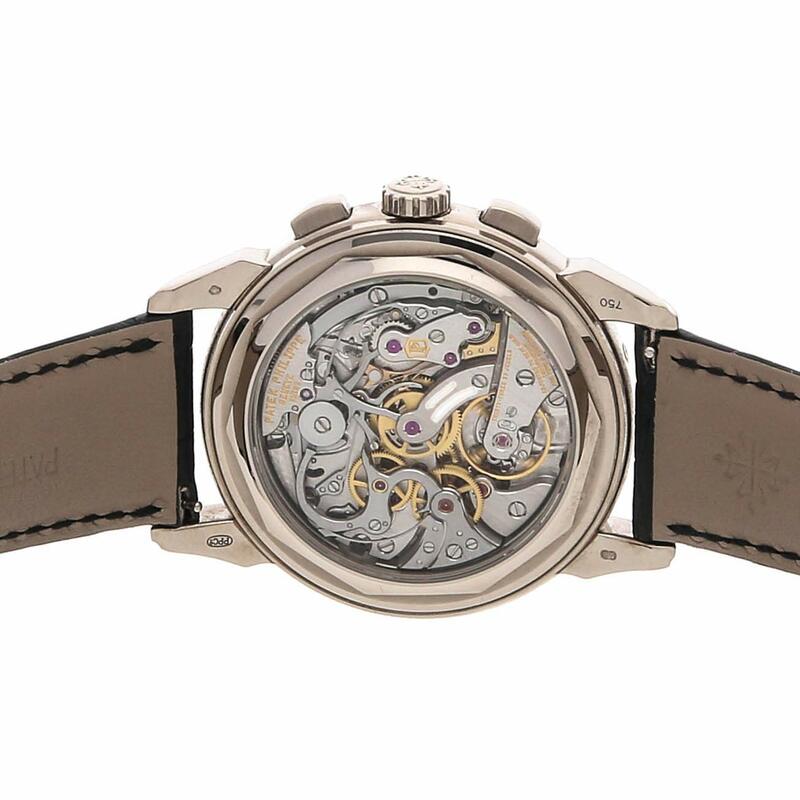 We back this watch with a 15-month warranty! 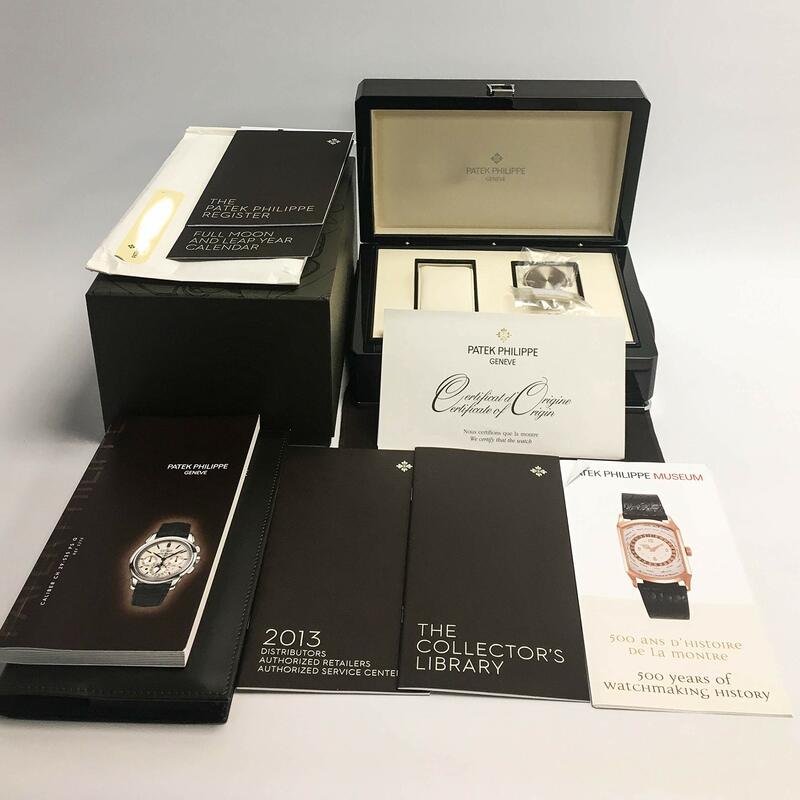 This watch is Certified Pre-Owned in New or Like New condition. 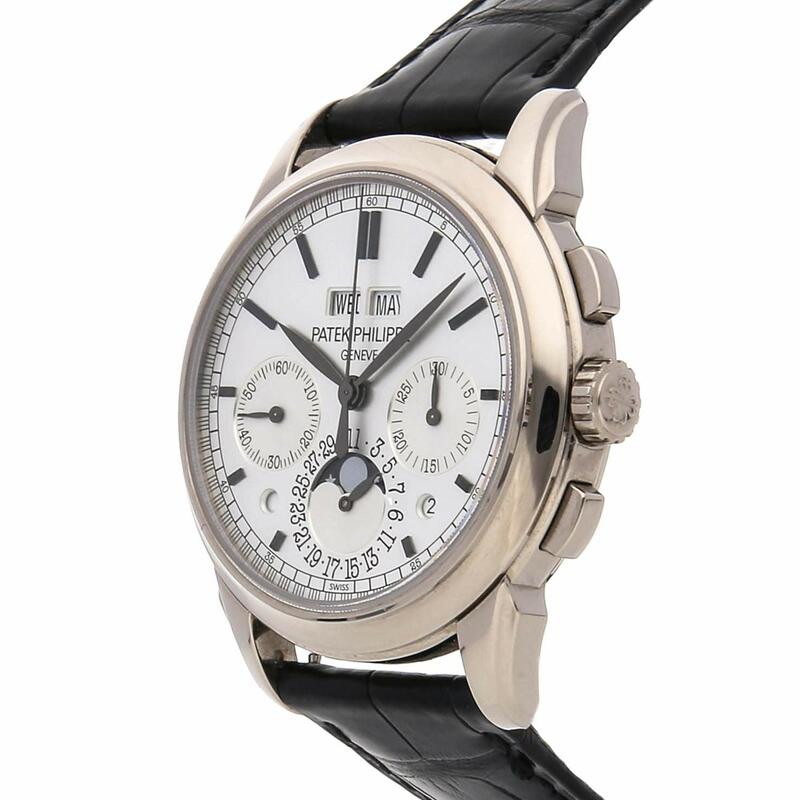 Watch would possibly show subtle scratches. The case must exhibit no dents or dings and the bracelet must show little wear or stretch. 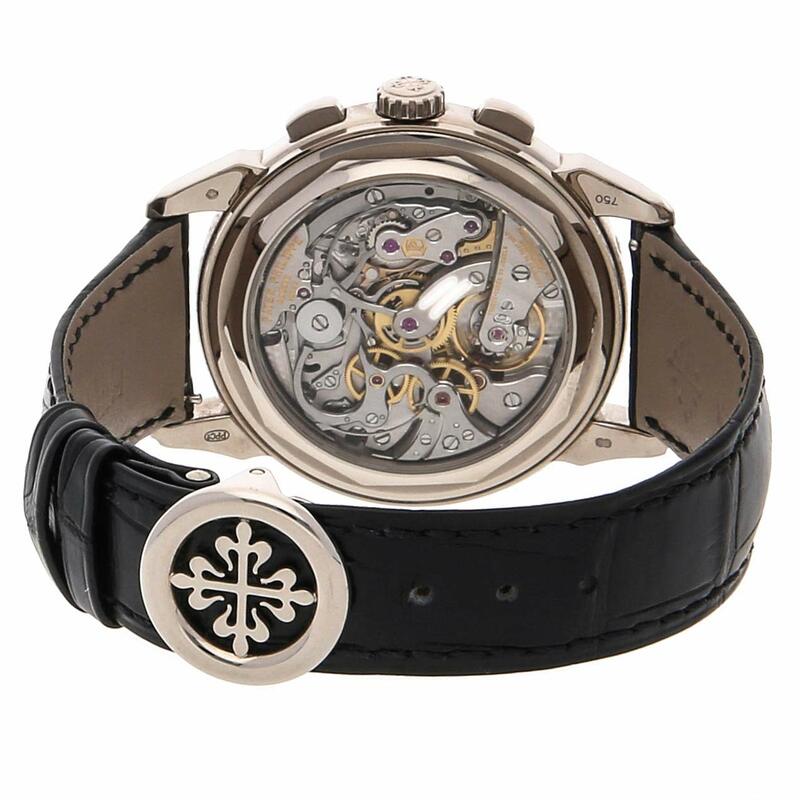 The watch helps to keep time consistent with manufacturer’s specification and needs no mechanical service.